Picking out Japanese pet names for your new friend can be so much fun – but sometimes it can be stressful, too! 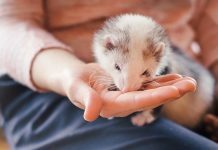 You and your new pet have only spent a few days together and you may feel unsure which Japanese pet names will best fit your animal now and in the future. 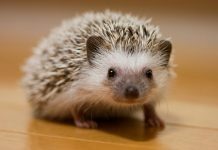 This article is designed to make naming your new little friend fun and stress-free! Why Choose a Japanese Name? Even if your new pet isn’t a Japanese breed, there are so many great reasons to choose a Japanese pet name! For starters, the Japanese love their pets – so much so that many Japanese adults are even choosing having pets over having kids! Pick a shorter name or a name you can easily shorten to a nickname. Be sure you will still feel comfortable using the name as your pet grows up. Pick a name you will feel comfortable saying out loud in public, just in case! As much as the Japanese people love their pets, they may love sharing them with the world even more. From films to Facebook, you can find some of the best Japanese pet names by meeting the famous faces of the modern Japanese pet! This list of female Japanese pet names draws inspiration from famous Japanese actresses and warriors. These male Japanese pet names are inspired from famous figures both current and historical. They come from military heroes, leaders, popular culture icons, literati and athletes. There is no doubt that just choosing a Japanese name for your new pet is super-cool. If you can match your pet’s new name with a particular trait or quality – well, that is even cooler. Here’s hoping these cool Japanese pet names give you the perfect inspiration! The cuteness of our animals is undeniable – big or small, slim or stout, we love them all! These cute Japanese pet names draw from nature, culture, food, colors and qualities to help you find the best name match for your adorable new pal. These funny Japanese pet names pull from popular culture, cartoons and animals to describe different comical pet traits! From sweet to sassy, old soul to young spirit, petite to powerful, these unique Japanese pet names can give you food for thought. Find the perfect name for your new furry, feathered, or scaled love here. These tough Japanese pet names evoke the many different qualities of toughness in Japanese culture – bravery and courage, warrior skill and valor, strength and athleticism, fierceness and protectiveness. Pet pups in Japan often lead a truly pampered life. From pet cafes where owners and their animals can dine together (at the same table but with two different menus!) to whole years dedicated to popular pet animals! For instance, 2018 was the year of the dog, and 2023 will be the year of the rabbit! It can be very good to be a pet in Japan. Today, a staggering 21.3 million Japanese dogs and cats are sharing comfy couches with their people – approximately 4.8 million more pets than human children! 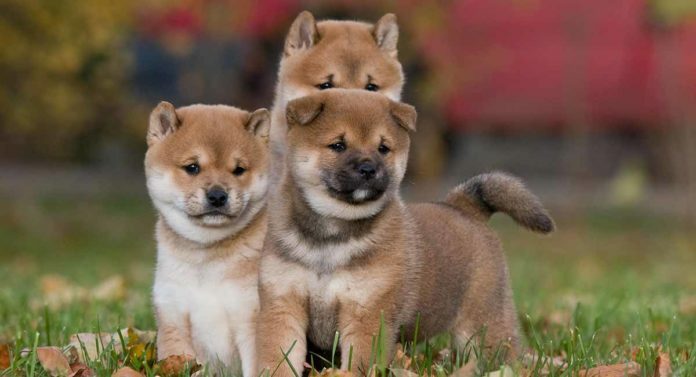 If you’re interested in finding out about some iconic Japanese dog breeds, you may enjoy reading through this informative article. Which of These Names Is Your Favorite? Congratulations on welcoming home your new pet! As you continue pondering Japanese pet names, you might just take another scan through these lists and pick out 5-10 favorite possible names. Then take a day or two to use each name casually here or there while playing with her. See if one name gets more of a reaction. That name may just be your pet’s new Japanese name! When you do finally pick out a name you both love, please drop back by and post a comment to share the Japanese pet name you chose! Arita, E. (2010). Japan’s Love Affair with Cats and Dogs. The Japan Times. Wilson, S. (2017). W.T.F. Japan: Top 5 most famous pet dogs in Japan. Sora News 24. Scott, G. (2018). Lucky and unlucky numbers in Japan. LinguaLift. Mathers, C. (2018). What Is the Meaning of Color in Japanese Culture? Classroom. Kanert, M. (2019). Japan’s 12 Most Famous Samurai. All About Japan. Abarquez, C. (2018). The Most Beautiful and Popular Japanese Actresses. Reel Rundown. Jordan, A. (2014). Pets Outnumber Children in Japan. Tokyo Weekender. Previous articleCan You Keep A Squirrel As A Pet In Your Home? 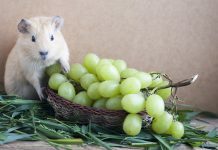 Can Guinea Pigs Eat Grapes?